EBGC’s Winter Mountain Leaders again invite you to to Scotland for a week to improve your practical mountain skills. What are the benefits of spending time in the mountains? Adventure, aerobic training, peace, fresh air, personal development and plenty of stories to tell! An introduction to crampons and ice axe techniques including arresting a fall with an ice axe. Snow slope profiling, avalanche risk assessment and avoidance. Use of snow anchors, rope belay methods and ascent of a grade one snow slope or ridge. Mountain journey involving navigation techniques. Overnight snow hole expedition, conditions permitting. The EBGC minibus departs from Stubbers in Upminster on the evening of Saturday 25th Feb for an overnight journey, returning on the evening of Friday 3rd March. The group will stay at Isles of Glencoe Hotel. 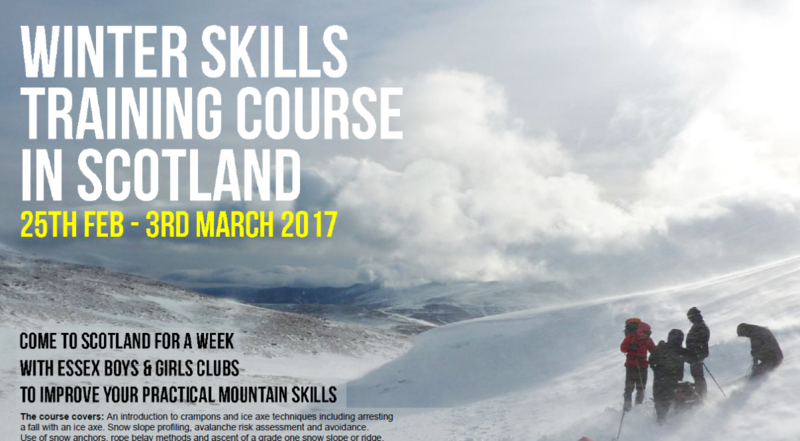 The course is led by experienced Winter Mountain Leaders Martin Solder and Steve Hutson. Places are limited to a maximum of 10 participants. Selection of participant will be influenced by previous mountain experience, although previous winter mountain experience is not necessarily required. £330 for over 18s, £140 for 16-18 yr olds. Promoting this event to your club or company?